Goon Squad: Boston FF vs. the OK Tornado: Which Had More Victims? Boston FF vs. the OK Tornado: Which Had More Victims? Take a look at these pics and see if you correctly guess which incident had more people injured. 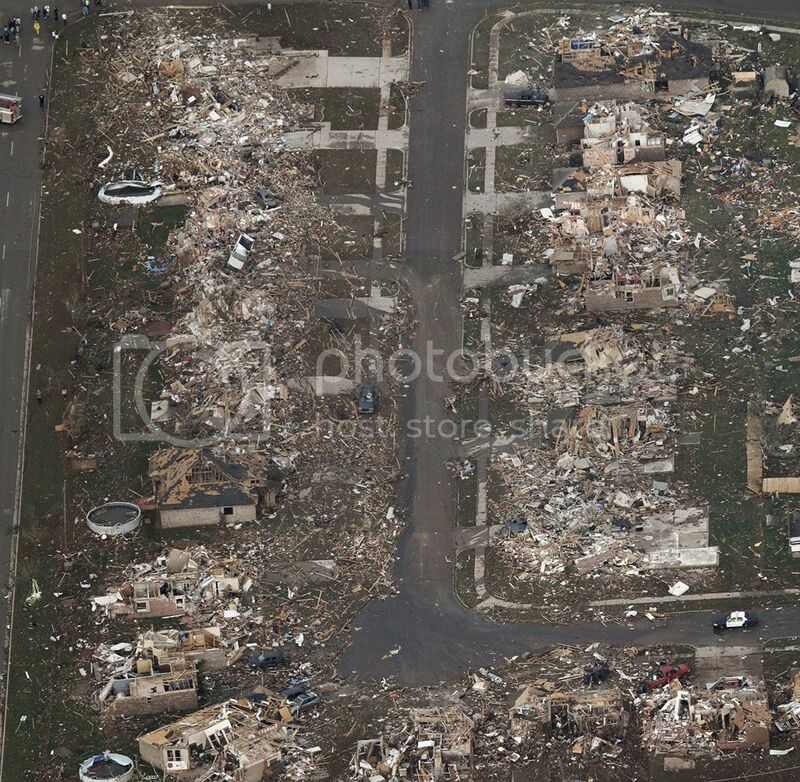 Comparing the above pics, one would think that the tornado that hit Moore, OK, wiping out entire neighborhoods so completely, it's difficult to see that homes were once there, causing 240 people to be injured. The devastation was so complete, the area looks like an actual bomb was detonated. 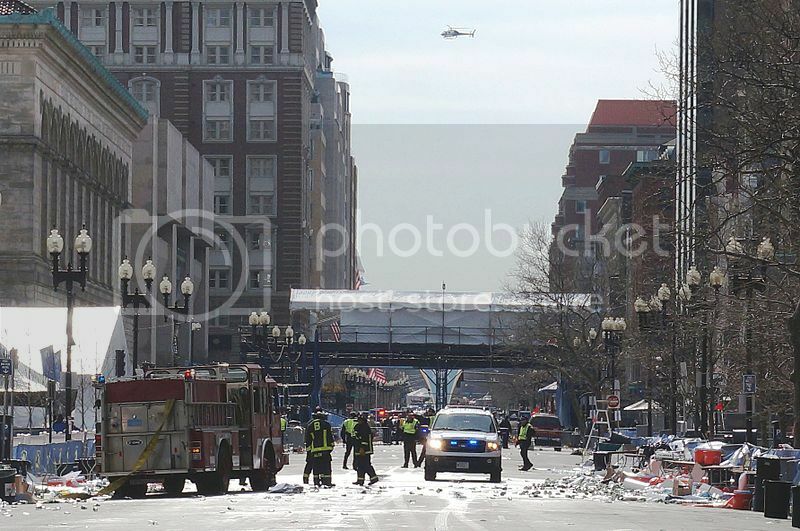 The Boston FALSE FLAG pics, which show the area that was 'attacked,' shows very little damage to the surrounding buildings. In fact, I had trouble finding pics of the actual damage, as most are photo ops of the various actors employed to stage that FF. The latest number of victims of the Boston FF stands at 264. 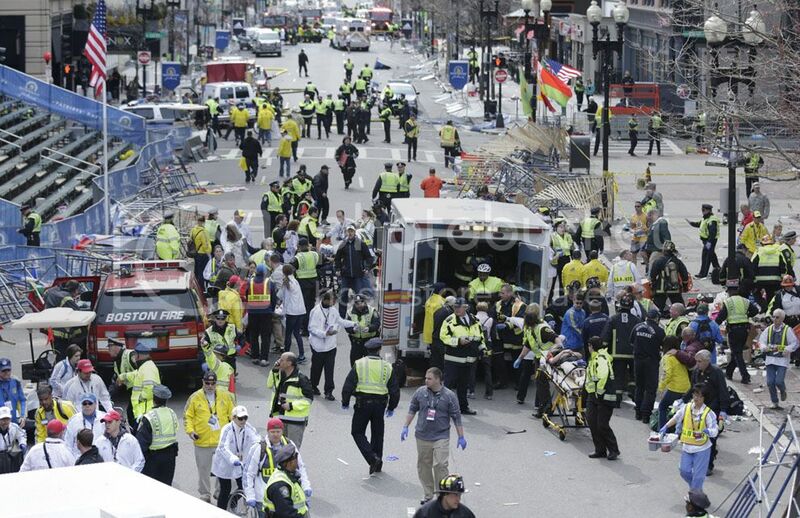 So the Boston FF has the larger number of injured persons. 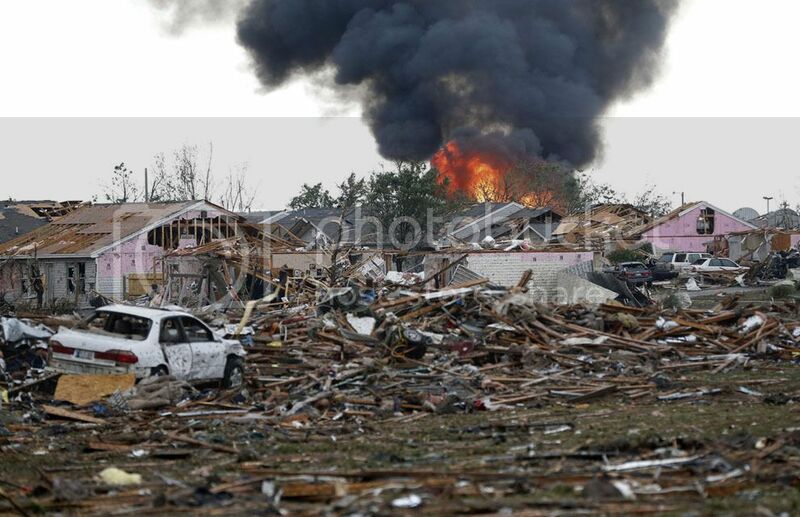 When you compare the photos above, does it make sense that the complete and utter destruction caused by the Moore, OK tornado would have less injured persons as compared to the Boston FF? Well, either Bostonians are pussies or there is something awry. I bet the Bostonians get more money out of the deal. And they, mostly, are actors. Where the Moore folks deserve the help they get. 21 sec – camera pans – there is some smoke, but not much, you can see trough – no victims yet. 25 sec – group of people (7-15) are coming out of the building with broken windows -one is wearing red hat. No runnig, very calmly walking out. 33 sec – you can hear a pop ! smoke grenade goes off. A lot of smoke to cover clowns getting into position, applying fake blood, waiting for smoke to clear. My favorite shot of that production is right at first, when they are showing the runners approaching. One runner, an elderly gentleman, starts to fall down before the fireworks start. When the firecracker goes off, he's already on the ground and the people closer to the scene, standing between the runner and the FF, turn around and look at the popping sound with a WTF stance. None of them fell down or clutched part of their body like they were hurt. The FALSE FLAGS Just Keep on Coming! Cell Phone Towers Being Used for Mind Control? What Happened to these Jew Terrorists? "9/11, What is Your Emergency?"